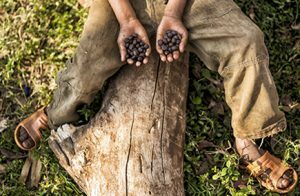 Coffee Fermentation: What is it, and Why Does it Matter? Fermentation – you may have heard of it in chemistry, or even biology class. Or perhaps you’ve heard of it in relation to alcohol – how sugars ferment with the help of yeast and turn into booze. But did you know fermentation can be one of the most important factors in your coffee’s flavor? 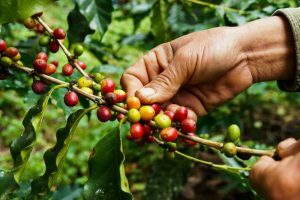 A growing trend in coffee processing, coffee fermentation takes beans through chemical changes that not only remove excess materials leftover from processing a cherry’s pulp, they also affect the resulting brew. Let’s start with the basics: chemically speaking, fermentation is a metabolic reaction between microorganisms like yeast and other bacterias as they break down substances. During fermentation, yeast and bacteria feast on chemicals like sugars and generate heat and sometimes effervescence. Commonly fermented things include wine (in which the sugars in grapes break down and become the alcohol in wine); kombucha (lightly fizzy fermented black or green tea); and soy sauce (fermented soybeans). When it comes to coffee, we’re less concerned about the byproduct of fermentation (the leftover liquid), and more concerned with the changes to the bean itself. You see, fermentation follows what’s known as “wet processing” of coffee beans. Ripe coffee cherries are picked, then washed and forced through screens to remove the outer skin and pulp. This process removes most of the outer fruit, but leaves some bits stuck on the inner pits of the cherries (which are going to become our coffee beans). This must be removed before the beans can move on to the next step. To start the fermentation process, all beans really need is water. When the bits of leftover fruit, called mucilage, begin to soak, they naturally start to break down and release enzymes and bacteria. 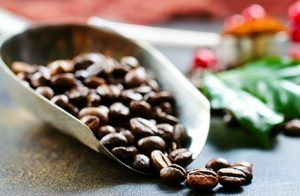 Humidity forms, yeast begins to feast on the sugars in the mucilage, and it begins to fall aways from the coffee cherries, leaving behind only smooth, clean coffee beans. While it sounds like a simple process, fermentation is notoriously difficult to control. Certain factors, like humidity, the fermentation container, the length of time cherries are fermented, and any additives to the water, can be adjusted experimentally, but microorganisms can’t fully be controlled. Despite this, it’s agreed that fermentation does affect the flavor of coffee, so many farmers choose to use this method to process their cherries. How exactly do a combination of water and microorganisms affect the end flavor? Well, fermentation produces acids, which combine with the natural acids in coffee beans and result in a cleaner, more refined flavor. How much the flavor is impacted depends on how much fermentation the beans went through, but flavors can become more vivid, complex, creamy, or even sweet. As the industry embraces more scientific approaches to coffee production, we’ve learned more about fermentation and the variables that can be controlled to make the process consistent. And of course, the more we can understand it, the more we can adapt and control fermentation, and therefore produce even more reliably delicious cups of coffee.